We Congratulate The Sportfreunde Harteck On Their Win! You are here: Home / News / Company / We Congratulate The Sportfreunde Harteck On Their Win! financial.com is sponsoring the male youth (10 to 15 years) of the Sportfreunde Harteck München e.V. as part of our social engagement. 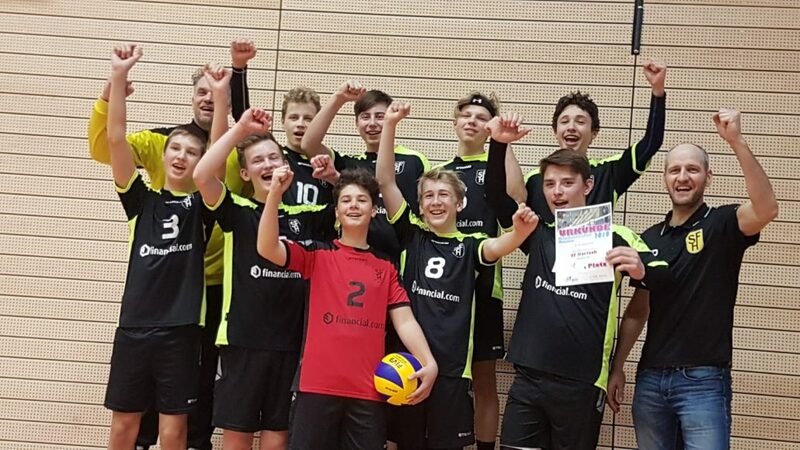 The U16 volleyball team, with both teams (I and II), won the district championship title and are undisputed at the top of the table in 10 games (20 sets) against other opponents without losing any points (I and II). Both teams should qualify for the Upper Bavarian championship and land Team I on one of the top places. 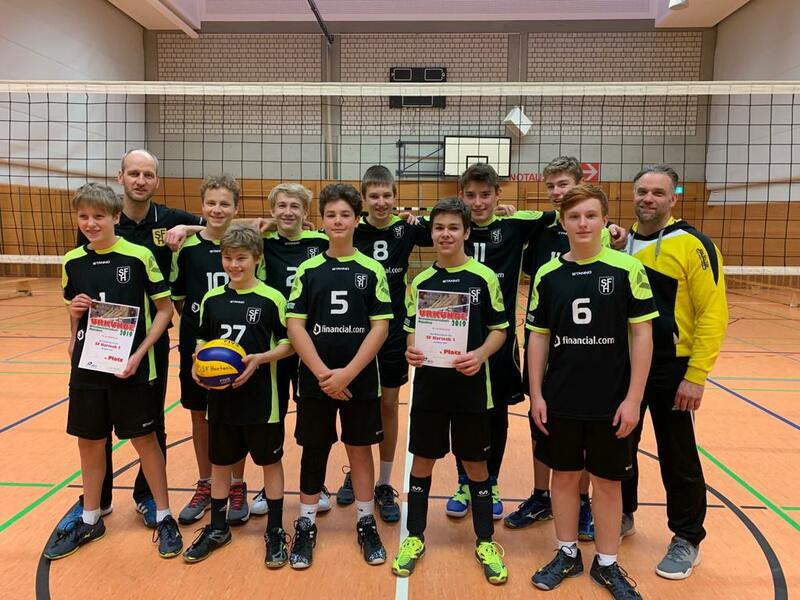 For many of the clubs and coaches in Upper Bavaria, the U16 with its individually strong and broad squad is one of the narrow circle of favorites at this year’s Bavarian Championships. Since the young stars have been playing in the new jerseys from financial.com, there have been four wins in a row in the Kreisliga!